It’s no secret that social media has changed marketing forever. Businesses of all sizes and in all industries at the very least need a Facebook account if they are going to reach their clientele, and they could probably use Instagram, Pinterest, Twitter, and practically every other social network that has gained popularity in the last decade or so. Practically everyone uses social media in their daily lives, so it stands to reason that savvy marketers have embraced it as the go-to advertising method of the 21st Century. With that being said, how can a business effectively use social media for their SEO? The rules surrounding SEO, or search engine optimization, seem to change constantly. Something that once looked like a brilliant marketing strategy that would guarantee a great Google ranking for your site might now cause your homepage to become all but invisible. One thing that hasn’t changed though is how social media can influence SEO If you really want to use social media to your full advantage, consider some of these tips. Google’s search algorithms change frequently, and web marketers need to adjust their SEO strategies to keep up. One way Google decides what content is relevant is by seeing how often it is shared on social media. Something that is retweeted multiple times will be more likely to show up on a Google search than something that only one or two people have shared. The same goes for anything that is shared across Facebook and Pinterest. Pay attention to where your content is posted and by whom, and don’t forget to add some share buttons to your content. There was a time when Google used the number of links in content to determine its relevance. This led to many black-hat SEOs linking their content to keyword-stuffed blog posts while encouraging others to link to their own posts. This was a devious way to artificially improve a site’s Google ranking, and Google quickly caught on and put an end to it with a new algorithm. The days of creating seemingly random backlinks are thankfully gone, with the links being replaced by social shares. This might not sound much better, but they are far more organic and honest than linking to keyword-stuffed content. People share your content because they see that it is worth sharing, and since it is worth sharing, Google will decide that it should be seen by more people. One of the great things about social media is that it allows you to easily reach out to your clients and speak to them directly. Naturally, this allows you to get an idea of what your clients really want from your business. If you ever feel like you’re out of ideas when you’re trying to come up with new content, simply go onto Facebook or Twitter and read what your followers have to say. If you’re lucky, you can get days or even weeks worth of content ideas from just a few comment threads. It should come as no surprise to you that some social networks are more popular than others. Google may love Google+, but it doesn’t have nearly as many users as Facebook. You should be going where all the action is if you really want to reach people, and Google mostly feels the same way. Spend some time with your Facebook fans and Twitter followers if you really want your Google rankings to go up. As useful as social media can be for your business, staying on top of your various profiles enough to make it worth your while is a lot of work. Fortunately, there are SEO services that can handle the bulk of the work for you. 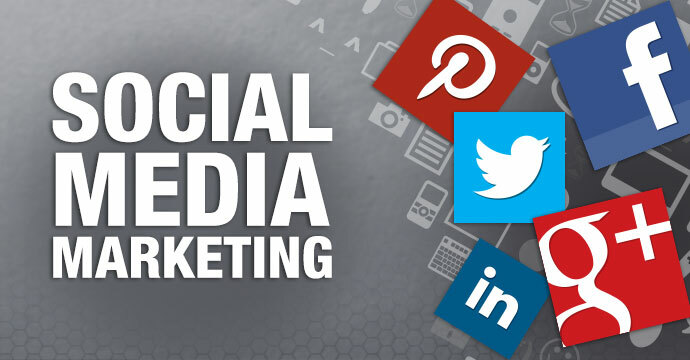 Marketing Effectively with Social Media: What Tools Are Out There to Help You Maximize Your Marketing Plan?